Another major American card company is trying to enter China as Beijing promises to further open up foreign access to its vast credit card market. Mastercard Inc. said Friday that it will submit a new application for a bankcard clearing license in China in the very near future. The move came after years of failed efforts by the credit card giant to obtain a license and after its smaller rival American Express gained preliminary approval last November. But Sino-American trade tensions may get in the way as Chinese officials seek assurances that customers won’t be harmed in the event of U.S. sanctions on financial services, Caixin has learned. “China remains a vital market for us, and we look forward to working with the Chinese government and local partners in growing and developing the overall payments ecosystem in the long-term,” said Ling Hai, co-president of Asia Pacific at Mastercard. Amex gained its approval after forming a joint venture with Lianlian Group, a Chinese fintech company. 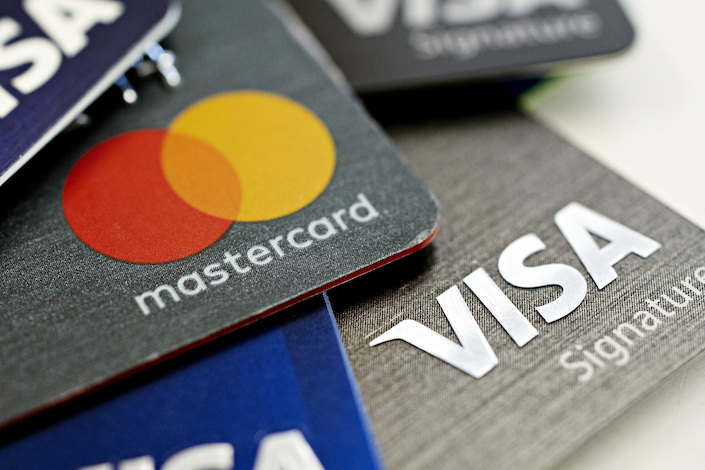 There have been reports that China has pressured Mastercard and Visa Inc. to also operate through joint ventures in the country. Mastercard didn’t specify whether it would follow Amex’s approach but said it is in active discussions to explore different solutions. “Forming trusted partnerships remains a cornerstone of our operating philosophy around the world, and our approach in China is no different,” Ling said. Mastercard and Visa first submitted license applications in 2017. The People’s Bank of China has reportedly delayed reviewing their applications, which could cause more tension in the trade negotiations between the United States and China as they head toward a March 2 deadline before new tariffs come into effect. The PBOC has denied reports that it is deliberately delaying the process. People close to the central bank told Caixin that the PBOC has never formally reviewed Mastercard and Visa’s applications because they lacked required materials. A PBOC official said Mastercard withdrew its application in June 2018. Visa withdrew its application in January 2018 and resubmitted in April, but the new application still lacked some supplemental materials, the official said. The official said the central bank has never intervened in applicants’ business models and never asked them to form joint ventures to conduct business in China. Caixin has learned that the bottleneck lies in the issue of user protection. According to the PBOC’s rules on bank card clearing institutions, applicants should include in their applications material about strategies and mechanisms for protecting cardholder and merchant rights. The central bank wants Mastercard and Visa to provide written documents to explain how they can protect cardholders and merchants in the event of unilateral sanctions, people close to the central bank told Caixin. 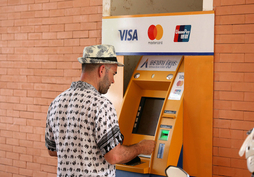 In 2014, Visa and Mastercard said they were winding up operations in Crimea because of U.S. sanctions after Russia’s takeover of the peninsula. 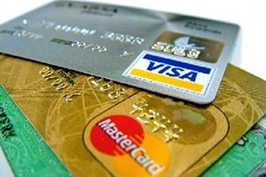 The sanctions caused Russian customers’ credit cards linked to Visa and Mastercard systems to no longer work. In response to sanctions barring American companies from providing services to companies on the annexed peninsula, Russia developed its own national payment system in 2015 and turned to collaboration with China’s card issuer UnionPay. The PBOC wants Visa and Mastercard to provide assurances of how to avoid a similar situation in China, people close to the central bank told Caixin.